when it comes to area rugs, quality will determine price, construction, fiber system and how long it will last. There are stylish options at all price points, it's more of a matter of how much you want to spend. You can find rugs priced anywhere from $199 to $199,000 and more. No matter which end of the price spectrum you're on, you'll find plenty to choose from. If you want a high-quality rug that will last a lifetime, you're going to have to spend for it. 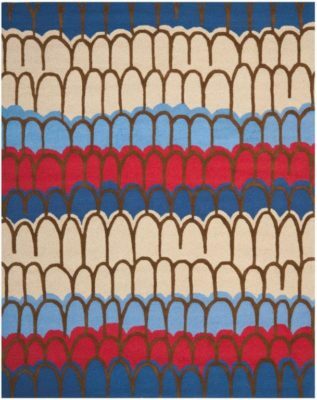 If, on the other hand, you're looking for a seasonal pop of design and color to spruce up a room for the short term, then a less expensive rug will do the trick. There are two types of rugs: machine-made and handmade. Machine-made rugs are either tufted or woven. The difference is that machine-tufted rugs are constructed by a machine that pushes yarn through a backing, while machine-woven rugs are made by a machine that uses a weaving technique. Woven rugs are made using an Axminster or a Wilton loom. 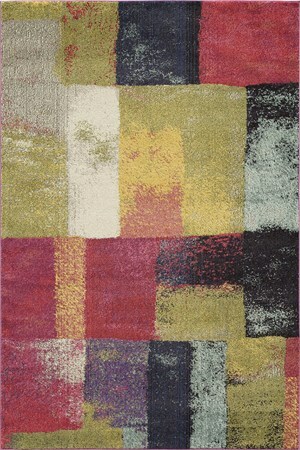 Almost all woven rugs fall into the higher price and quality range. While machine-woven and machine-tufted rugs are the most popular area rugs today, many people prefer the subtle charm of a handmade rug. Common construction methods for handmade rugs include hand-tufting, where workers use a hand-held device to shoot the yarn through the rug's foundation, and hand-knotting, where the yarn is pushed through the foundation and tied off. Oriental, Persian, Berber and Native American designs are just a few that can be found in area rugs in nearly every price range. And an endless array of sizes are available. As a rule of thumb, Oriental rugs fall into two broad style and quality categories: geometric and curvilinear (or floral). Once you've decided upon the size and colors of your rug, it's time to consider the construction. While this may be an area that you are not familiar with, construction is just as important as color or pattern and helps keep your area rug not only beautiful but long-lasting. When it comes to construction, there are three basic characteristics: density, twist and fiber. Density refers to the closeness of the tufts or knots. Basically, the denser the pile, the better your rug will wear. Twist refers to the winding of yarn around itself. A tighter yarn twist will provide added durability. In terms of fiber, there are seven general types used in creating area rugs. 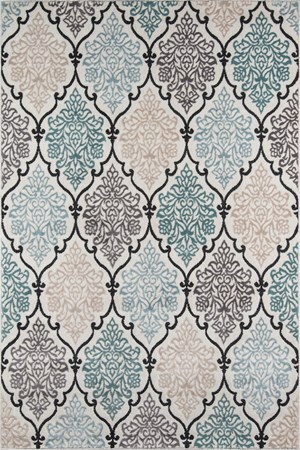 Again, the type you select will not only determine your rug's appearance but it's performance as well as it's price. Wool is noted for its luxury and softness. This natural fiber has been used in the construction of carpet for centuries – and for good reason. It is soft, warm and comfortable, plus it’s easy to clean. Still, because of its higher price, wool is generally limited to upper end goods. The other good hating about wool is that it is long wearing so you can count on having it around for a long time. Silk sits at the very high end of the market and is characterized by its exceptional jewel-like tones and softness. It also wears extremely well. For sheer beauty, silk is hard to beat. Nylon is a resilient fiber that withstands heavy traffic and the weight and movement of furniture. It is soil resistant and easily cleaned. The most common choice. Polyester features a soft hand, especially when used in thick, cut pile textures. Naturally stain- and fade-resistant, it is easy to clean and maintain. However, it is not as durable as nylon. Cotton for its softness and performance as well as for the ease of maintenance. Cotton rugs can look worn rather quickly although new fiber treatments have mitigated this somewhat. Olefin, also called polypropylene, is strong and colorfast with a soft wool-like feel. It resists stains better than nylon but doesn’t wear as well. Since most polypropylene is solution dyed during the manufacturing process, color is an inherent part of the fiber. Think of polypropylene as a carrot, the color runs right through it, versus nylon which is like a radish, color on the outside of the fiber, not inside. Acrylic offers the appearance of wool at a lower cost and is sometimes blended with other fibers.